Monday through Friday from 8:30am until 5pm, Saturday from 9am until 12pm or by appt. 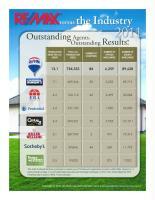 RE/MAX Hometown Realty is consistently one of the top producing companies in Northwest PA. The company is a member of the Greater Meadville Board of Realtors and its Multiple Listing Service as well as the PA and National Assoc. of Realtors - OUR AGENTS CAN SHOW YOU ANY LISTING IN THE AREA REGARDLESS OF WHAT COMPANY HAS IT LISTED. We service Greater Crawford Co. and the neighboring areas of Erie, Mercer and Venango Counties. We dedicate all of our energy and resources toward helping our clients achieve their real estate goals. We constantly strive to deliver the highest level of professional service. We are guided by sound principles and strong values ensuring that our professionalism will never be compromised. 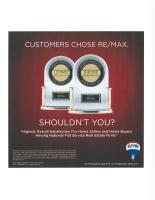 We take pride in building personal, long lasting relationships with our clients. 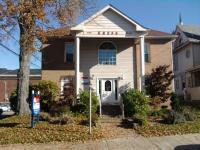 Personable, friendly agents and staff will treat you like family and make you feel at home. We cover all the details-showings, negotiations, financing, title work, inspections, meter reads- all you have to do is get the movers! From Park Ave. travel East on Chestnut St. Our office is located 1 block East of Diamond Park on the corner of Chestnut St. and Chancery Ln.